RIO DE JANEIRO -- The U.S. Centers for Disease Control says researchers have found the strongest evidence so far of a possible link between a mosquito-borne virus and a surge of birth defects in Brazil. The CDC said Wednesday that researchers found the dengue-like Zika virus in the babies of two women who miscarried and two newborns who died. Those who were born had small heads, a rare condition known as microcephaly. CDC's director of mosquito-borne diseases is Dr. Lyle Petersen and he says that finding the virus in brain tissue is "very significant." Brazil's government says 3,530 babies have been born with microcephaly in the country since October, compared to fewer than 150 cases in 2014. Zika virus has been spreading rapidly through parts of Central and South America and has recently been detected in areas closer to the United States. The first cases in Mexico were reported in November and the disease reached Puerto Rico in December. A case of Zika virus was diagnosed last week in Texas, CBS Houston affiliate KHOU reported. Health officials said that patient was believed to have been infected during recent travel to El Salvador. Zika virus is spread by the same Aedes mosquito as dengue fever and chikunguya. It can be transmitted from one person to another when a mosquito bites an infected person and then bites someone else. There is no vaccine to prevent it and no medicine to treat Zika virus infection. The virus is related to dengue but until recently was thought to have only mild symptoms. It was first detected in humans in Uganda decades ago, but there had never been reports of links between the virus and brain malformations until recent months. However, Brazil is experiencing the largest known outbreak of Zika, so it's possible that a rare birth defect simply didn't appear in previous smaller outbreaks, Petersen said. "This is quite unique for this type of virus," Petersen said. Mosquito-borne viruses generally don't lead to neurological problems. "I don't think anybody has any idea how Zika is crossing the placenta into these fetuses, or why Zika is doing it and other closely related viruses like dengue don't," said Scott Weaver, director of the Institute for Human Infections and Immunity at the University of Texas Medical Branch in Galveston, Texas. Dr. Ernesto Marques, an infectious diseases researcher at the University of Pittsburgh who is also studying Zika and the birth defects outbreak in Brazil, said he is finding so far that a very small percentage of pregnant women who reported Zika symptoms gave birth to babies with microcephaly. He said a problem facing epidemiologists is the lack of labs that are able to test for Zika. Marques said estimates that the country had between 440,000 and 1.3 million cases of the virus in 2015 are not reliable. "It needs to be better diagnosed. We don't know many, and we need a better response," he said. In an article published Wednesday in the New England Journal of Medicine, Dr. Anthony Fauci, director of the National Institute of Allergy and Infectious Diseases, and Dr. David Morens, the institute's senior scientific adviser, raise concerns that the virus may evolve to pose a greater threat to the U.S.
"The possibility that Zika may yet adapt to transmission by A. albopictus, a much more widely distributed mosquito found in at least 32 states in the United States, is cause for concern," they write. "Zika is still a pandemic in progress, and many important questions about it, such as that of teratogenicity [birth defects], remain to be answered." To respond, they say, "we urgently need research on these viruses and the ecologic, entomologic, and host determinants" that allow the virus to thrive. They also argue that better public health strategies are needed to control the spread of such viruses, and new vaccines need to be developed. According to the CDC, common symptoms of the illness include fever, rash, joint pain, or red eyes. Other symptoms can include muscle pain, headache, pain behind the eyes, and vomiting. Most patients experience relatively mild symptoms and recover within a few days to a week. 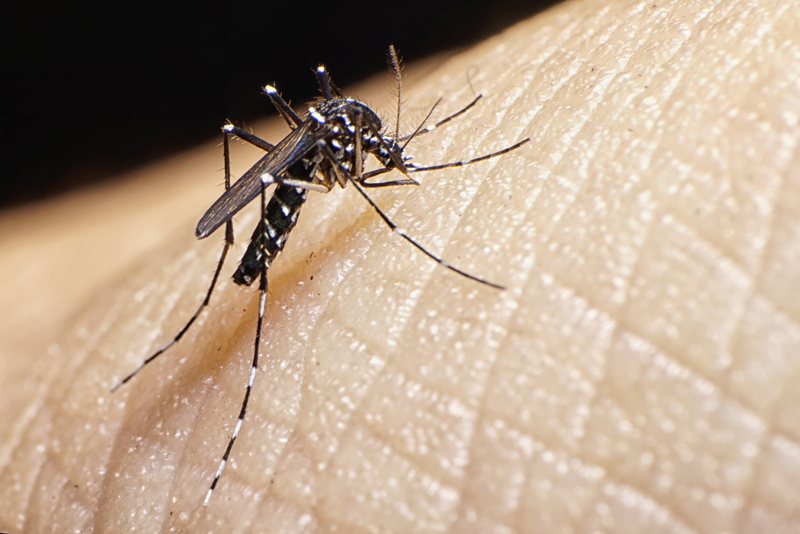 CDC recommends that all people, especially pregnant women, who are traveling to Brazil and other areas in Latin America, should take precautions to avoid mosquito bites to reduce their risk of infection with Zika virus and other mosquito-borne illnesses.